Dancing duellists squared off on a mat, each trying to outclass the other under the gaze of a roaring crowd. 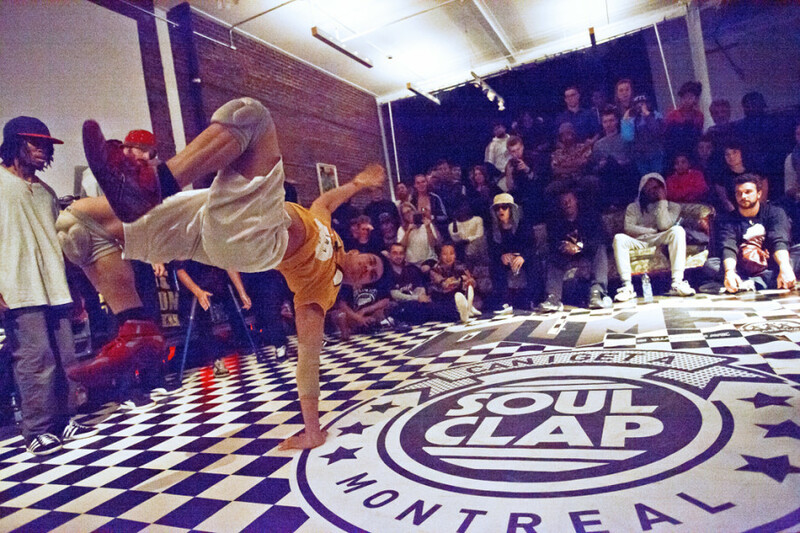 The sixth edition of the Can I Get A Soul Clap b-boy/b-girl competition was held Saturday night at Artgang Montreal. 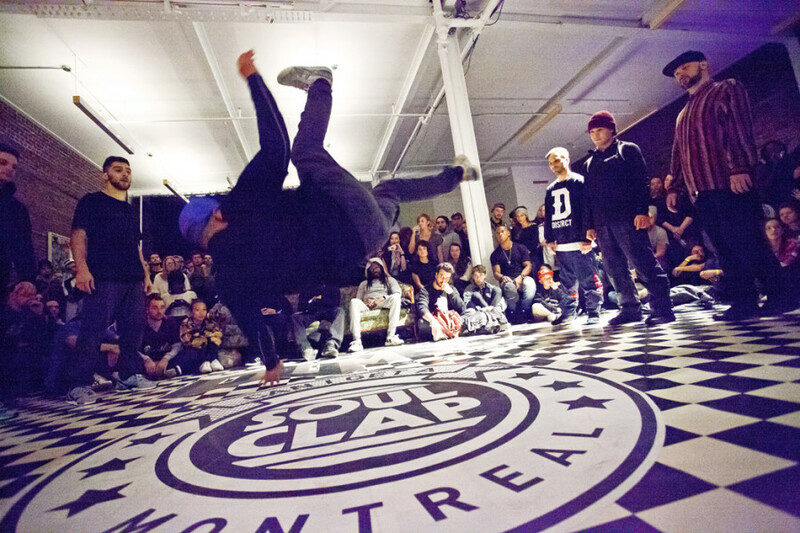 B-boy and DJ CreeAsian provided dope beats at the annual street dance tournament that showcased the talents of several Quebecois, Canadian and international artists. 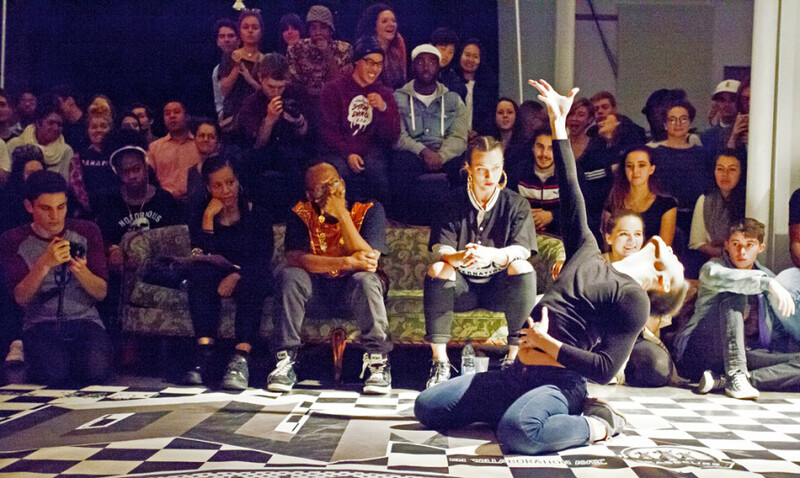 Peloquin, 31, is founder of Disstortion, a group involved in developing artistic platforms. Can I Get A Soul Clap’s preliminaries were held the day before at their downtown studio. The final meeting was separated into two categories. 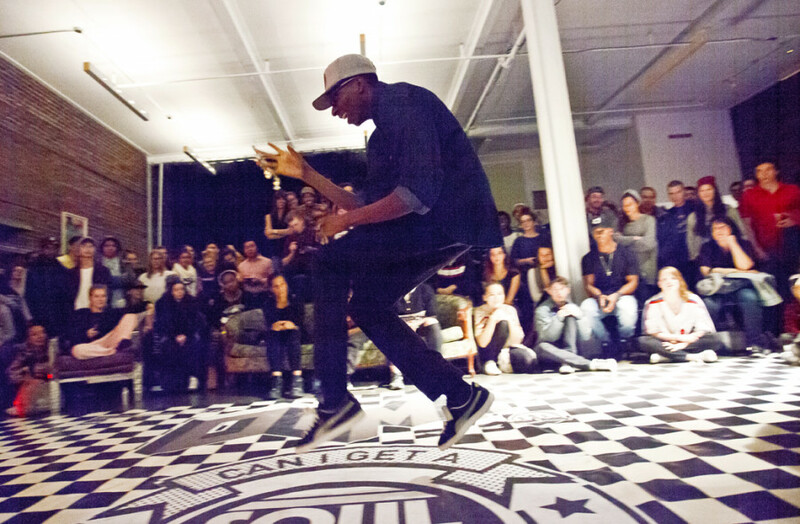 The first involved an all-styles one-on-one competition. The second was a five-on-five team championship. The bloodless bouts were akin to old kung fu movies where various characters sashayed their best moves. A prepubescent boy sporting a bandana competed against grown men, bringing images of Naruto Shippuden to mind. But the main event was the b-boy five-on-five team championship. 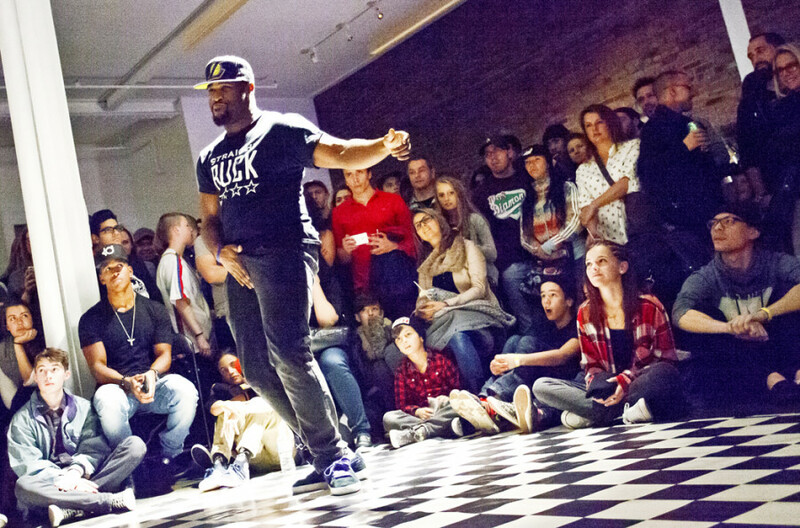 “We had elite b-boy groups hailing from Toronto, Quebec City, Montreal, Sherbrooke and Ottawa,” said Peloquin. Experienced dancers vaulted in the air and spun on the floor, each feat of urban acrobatics meant to uplift their team’s status and outdo the opposition. A one-legged b-girl performed a handstand on crutches drawing whoops from the crowd of about 600. It was composed of mostly breakers and young families. Still, Ndolimana was gracious in defeat. Despite the pressure, the event was more than just a test of skills. Charles “Chuckle” Gao, 25, of BBoy North, made it to the five-on-five final with his team. Peloquin said custom t-shirts sold at Can I Get A Soul Clap 2015 helped fund future events and reinvest in the community. Guest breakers Tricky Troublez, Creeasian, and Nauty One hosted dance workshops. Intrikid held a free workshop for children. 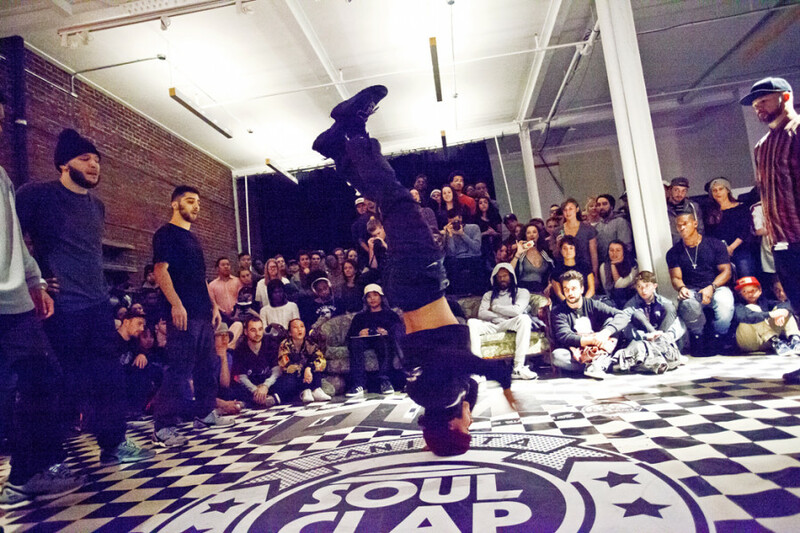 “It’s important for us to introduce more kids to street dance,” Peloquin said.